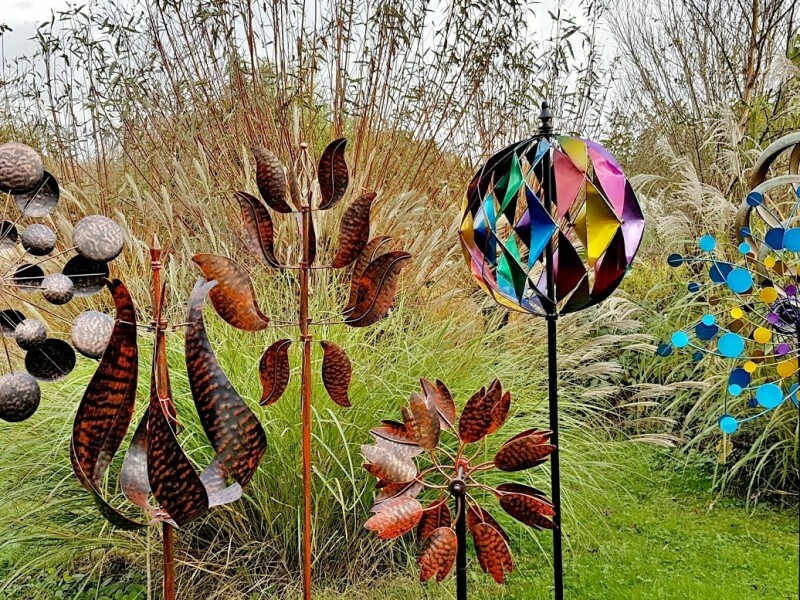 Developed to add movement and interest to the garden these innovative 'wind-mills' are designed to gently turn in the breeze. Comprising of dual movement 'sails' mounted on sturdy powder coated supports they are available in a wide range of styles and colours with an individual hand finish that will enhance any garden. Weather resistant and requiring minimal maintenance they are supplied flat packed with easy to follow assembly instructions.